Arnold Law, LLC: Going Green. This is not about what you think it is. It has everything to do with applying for a Green Card when you have applied for asylum status. It is right out of today’s headlines. If you or a loved one has been granted asylum status, then you are now eligible to apply for permanent residence after one year from the awarding of asylum. 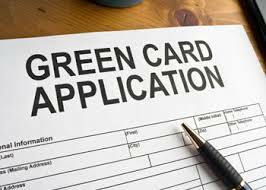 Understand that you are not “required” to apply for a Green Card, but it may be in your best interest to do that. Two things to remember: 1.) You no longer qualify if conditions have changed in your country of origin…or 2.) You no longer meet the definition of an asylee due to changes in your particular circumstance. This is where it gets tricky. You need an immigration attorney to sort this out. In this area that is Baltimore asylee application attorney Briana Arnold. Visit her website at www.brianaarnoldlaw.com. She will use her years of experience to determine if you are ready and guide you through the process. Call her today at (410) 484-1400. Ringling Bros and Barnum and Bailey Circus! When an INS Agent Knocks at Your Door.